One of the most common questions that arises for people building homes is whether they should install a boiler or a furnace in their house. What’s the difference? A furnace refers to a forced air furnace. It’s a unit that heats your house by air. It consists of a metal ducting system that runs throughout the house. These ducts go to each room throughout the house, and cold air flows back through the furnace. The furnace heats this cold air up with gas, electric, or oil, depending on the heating source for your house. Once the furnace has heated the air, the system then distributes the warm air throughout the house. 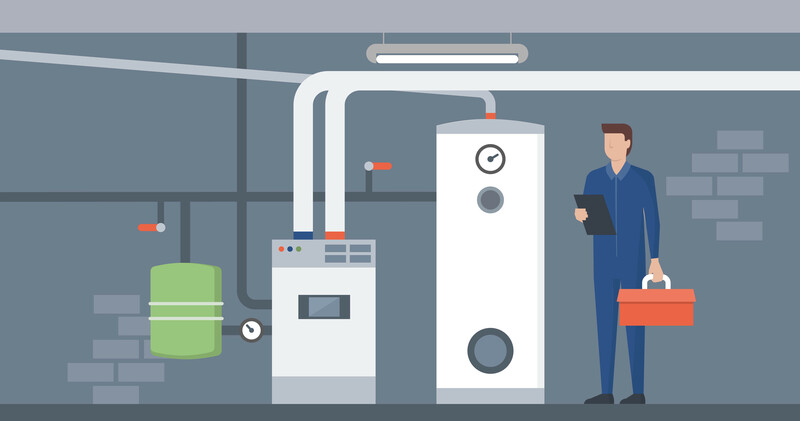 Some of the confusion lies in the fact that the word ‘furnace’ is more of a general term that describes any process or appliance that heats your home with air or water. However, generally, a “forced air furnace” and a “furnace”, is one and the same thing. 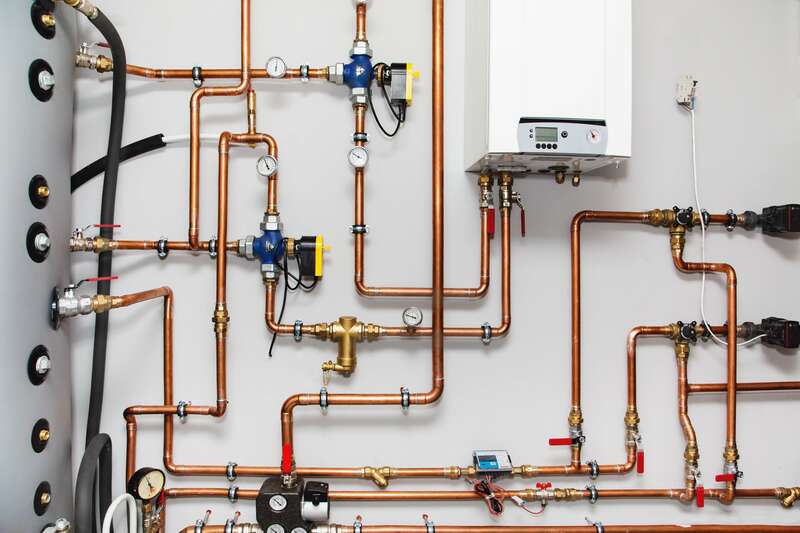 A boiler is a completely different type of heating source. In this case, you’ll have a boiler unit installed in the basement usually, with a piping system that runs to different parts of the house. For instance, If it’s a small house with just two zones, there would be piping running off the boiler, either under the floor or against the walls, which circulates through the two zones and back to the boiler. When water comes out of the boiler and flows through the cold pipes, it heats them up and that heat is transferred into the floor, walls and air. Then, the cold water, once it has been cooled down by the cold floor, returns to the boiler, is reheated, and repeats the cycle. In the case that the house had two zones (upstairs and downstairs), there would be another loop going through the upstairs, which would probably be connected to the bedrooms. One of the advantages of having a boiler is you can zone the heating more efficiently. For example, you can provide heat to one area of the house, and not another area of the house. This is also possible to do with forced air furnace heating, but more difficult. The other advantage of a boiler system is that it doesn’t create dust because there’s no ducting system to distribute air. However, with a ducting system, there’s no possibility for air conditioning, since there is no distribution system for cold air. Boilers, in the vast majority of cases, have no ability to do any sort of cooling. 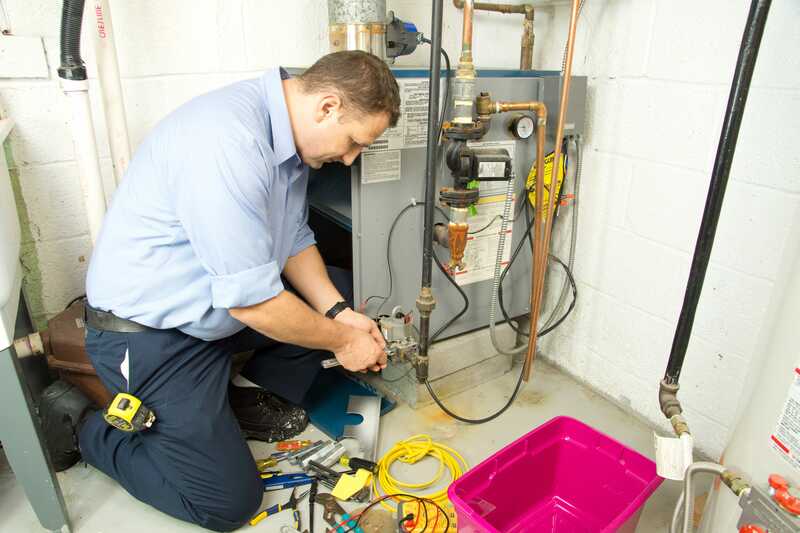 Forced air furnaces have a number of advantages, including the fact that they are less expensive, they have fewer mechanical parts, and they are generally less expensive to repair. It’s also possible to add an air conditioner or heat pump on top, and they are often less expensive to run. In general, if you want to have air-conditioning in the house, put a forced air in, or if you’re on a more limited budget, put in a forced air furnace. If you have a bigger budget, put in a boiler. If you have a huge budget, put in both. So, now that you know for a fact that your tank is actually leaking, what’s your next step, you may ask. If you’re not a hundr..